Note the subtle difference in how there is a flattening-off of the angles that make up the bottom of the body piece, thereby making the long gores end before the wrist. Unlike the version usually copied, like this. I think cute photos of your cat 'helping' you weave is universal. Tablet weaving, including (from what little I follow) some based on Finnish grave finds. An attempted summary of the Eura underdress. Let's see if I've understood the arguments in this post correctly. Correct me in the comments and I'll update it. 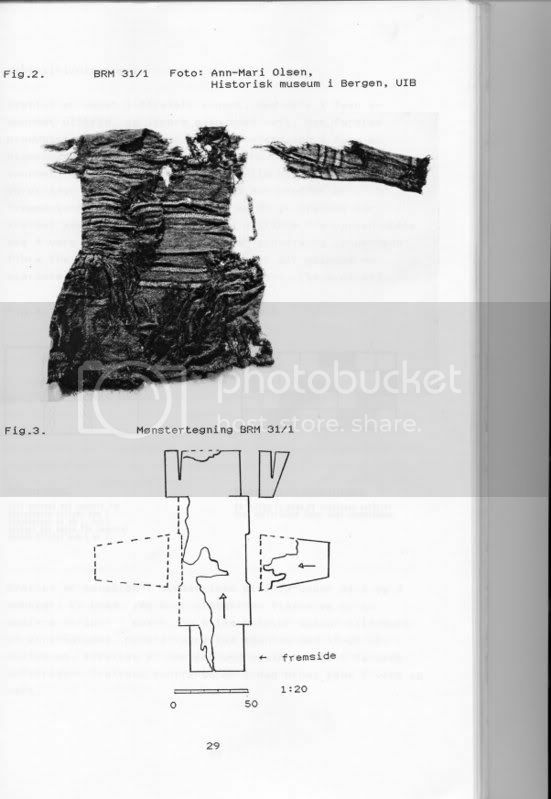 Edit 1: Adding in textile, and find-place of garments. Edit 2: Added in links to comments in this entry. Anyone know anything about the Guddal Tunic? 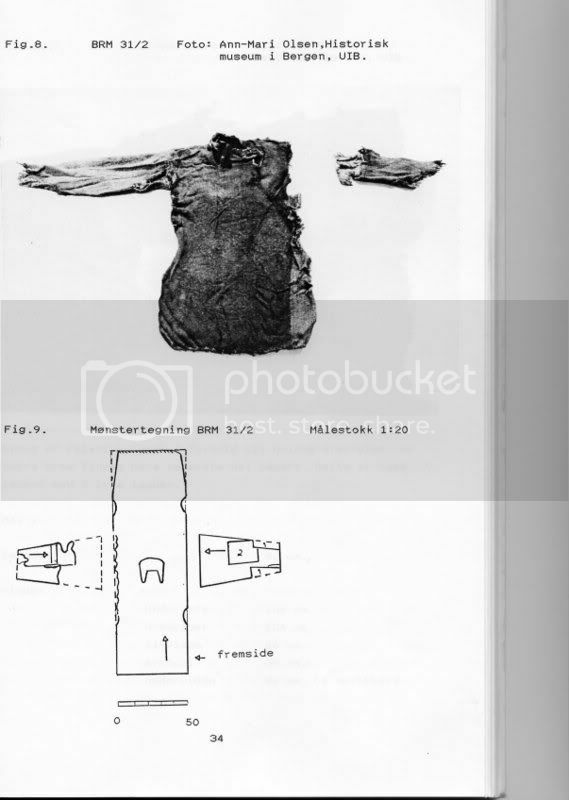 Halfway down this page, there is a photo of the Bocksten outfit, and a tunic from Guddal church, Sunnfjord. Does anyone have any more information, than just a little photo? Journal or book references I could ILL? Anything would be helpful and appreciated. Yet another fantastic article from those NVG guys: This time it's a Byzantine shirt! Go check out the construction details, and drool a little. Maybe a lot. As best as I can find out (and I found it by accident), this one is in Haeggs Die Textilfunde aus dem Hafen von Haithabu, but I don't know how much of it is guesswork, and how much is extant. It has six trapezoidal panels for the skirt.